AEM Product Safety & Compliance Seminar is designed specifically for the off-road equipment and product safety and compliance professionals. It covers the industry’s most pressing issues. We’re very excited to have Technical Animator Keith Kamikawa present on Video and Animation: Visual Media Benefits in Technical Publications on Tuesday, April 30th. John Fischer, Tech Pubs Production Manager will also be on the Publications Panel following Keith’s presentation. What will you take from our presentation? The process of CAD conversion for animation and Real-Time applications. The software recommended for the creation of VR/AR applications. Animation or video? The best choice to enhance your technical publications. Do-it-yourself tips for recording a successful training video. We’re looking forward to networking and getting up to speed on industry trends. 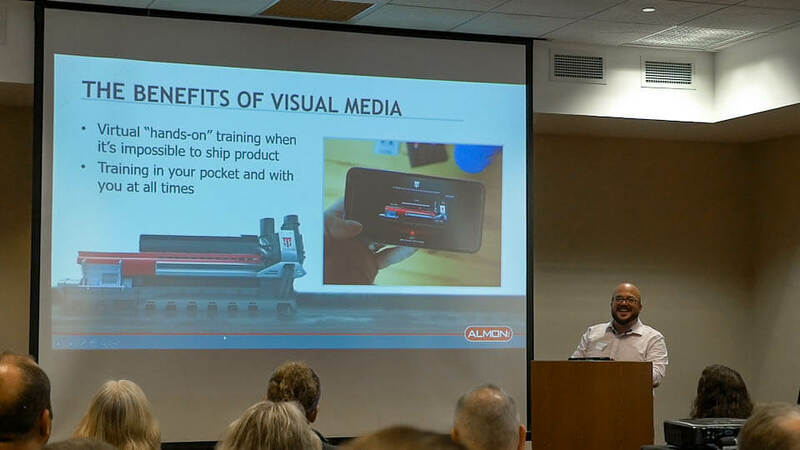 Incorporating Visual Media into Technical Publications, Top 5 Questions Answered!